Our signature barber and styling capes are here! 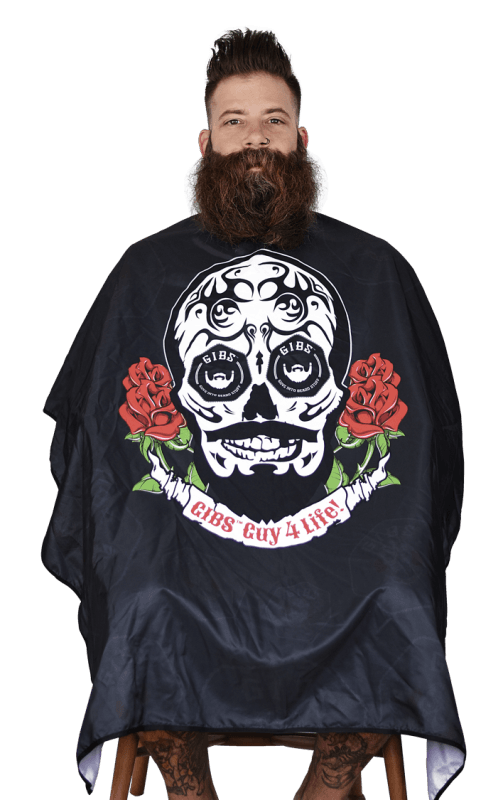 Rep the brand and take care of your clients in style with our man-sized, 50 x 60 inch, sugar skull logo cape with snap closure. Shark Bite Razor Set: Take a bite outta the grooming grind with the Great White of straight razors. 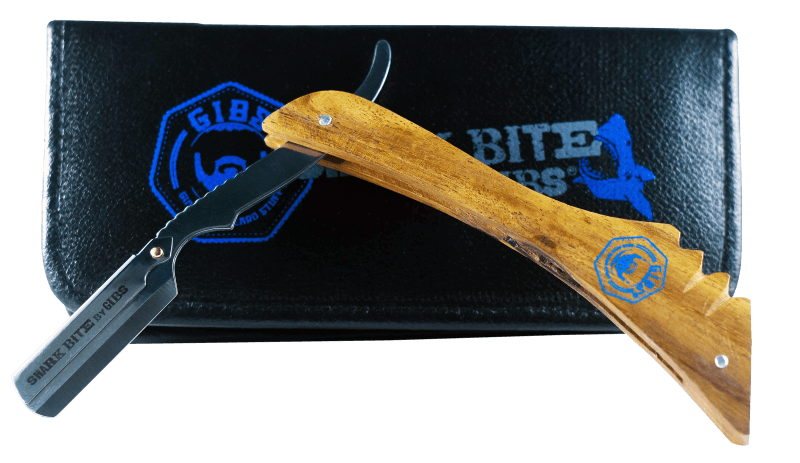 Shark Bite by GIBS is one sweet catch, with a butter smooth wood handle and a ribbed stainless steel shank for killer grip and heft. 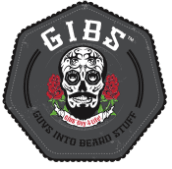 Disposable blades and easy switch outs mean you’re reeling clients in and out of the chair with predatory swiftness; an elongated handle ensures stealth maneuvering around monster beards and deadly smooth, tight shaves. You’re gonna need a bigger boat, because you’ll be reeling ‘em in! Comes with a signature zippered carrying case AND our Beauty Launchpad Readers Choice Award-winning Sharp Dressed Mane Clear Shave Gel!